Cryptocurrency like Bitcoin is one of the most popular cryptocurrencies that has brought a massive change in the financial systems globally. The concepts such as blockchain, decentralization, finite supply, and perfect anonymity have paved way for the introduction of new features in the financial system. Fluctuations in the values of these cryptocurrencies have gained attention (especially to the younger generations) in the recent years. Explaining cryptocurrency, it is a digital currency that works on advanced cryptography to function as a medium of exchange. The encryption technique facilitates secure operation, management, and control of the additional unit of the currency. It doesn’t rely on any kind of central authority to regulate and govern the transaction.The emerging cryptocurrency market has made traders frenzy and might look exciting, skeptic and scary to an observer. The global market has seen the sharp upturns and downturns since its inception. Recurring ValueThe value of cryptocurrency may take a dip and rise just like the stocks and bonds do. Being volatile in nature their value tends to fluctuate with crashes and hike. Also, its value is affected by the experimental portfolio of the investors.The Emergence of New Alternate CryptocurrenciesBitcoin has emerged in the year 2009 and is best- known cryptocurrency. With its growth and success, despite recent issues, companies have come up with new alternate cryptocurrencies. Numerous cryptocurrencies have been introduced in the market viz. · Ethereum (ETC)· Litecoin (LTC)· Ripple (XRP)· Monero (XMR)What does future have for cryptocurrencies? Due to its recent emergence and involvement of enormous investments, it is hard to ignore to study the future predictions and trends of cryptocurrencies. Though the future of cryptocurrencies is bright but it has some foreseen limitations which could be worked upon. Most of the countries have better financial systems which are established and have governing bodies to control them. They have legalized currencies which are used for transactions across the globe. But when cryptocurrency is taken into consideration, its existence does not get nullify, but each country might issue its own set of cryptocurrency within their control.Cyber crimes and other hacking activities can take away or banish the fortunes earned online, posing threats to cryptocurrency trading. However, technological advancements and mechanisms are being continuously developed to combat them. Moreover, cryptocurrency is highly volatile in nature and can swing the economy to inflation. This feature makes them less useful than normal currency and since no governing body exists to curb the situation by adjusting its supply with the demand, their value can rise sharply with the demand. So to bring in the financial and price stability, “elastic” currency has to be provided. So considering cryptocurrency here as future money is doubtful.Though the number of traders participating in cryptocurrency trading has increased significantly, still their part would be considered in minority. The reason behind is the intricacies of the trading mechanisms & its related risks, which dampen the merchants to participate. ConclusionThe issues related to cryptocurrencies would never halt because of its uncertainties. Its future mainly depends upon its performance in the financial system and the regulatory body or government. Will it form an axis of financial network?-Who knows. How cryptocurrency might evolve as and in what ways, we can’t anticipate. Eventually, cryptocurrency is just in its primitive stages, so it is too early to predict its fate and the effect in the coming years. 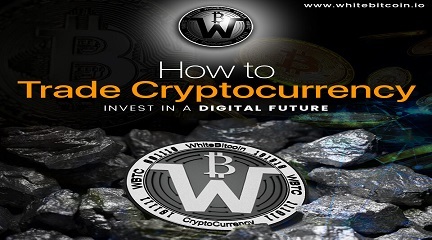 Cryptocurrency, is an very interesting concept as it is revolutionizing our way for online transactions . And, one may not help to wonder how and why this Cryptocurrency was started. Since, our world is coming closer, you have to make payments from India to Philippines, you have to do is online bank transfer. Bank is the server right.. ? Been a service provider, it will charge you to transfer and receive money, how about if we cut this middleman and make the transaction smooth? This led to invention of digital currency – a unit as medium of exchange. So, Cryptography is basically referred to a process of converting legible information into complex code to track purchases and transfers. 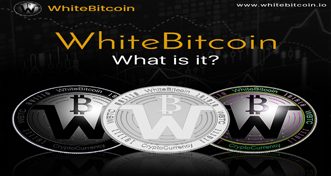 Crypto- Currency is the currency associated with the internet that uses cryptography. It has further evolved in the digital era with elements of intricate equations and technology advancement to become a way to secure communications, information and money online. While Bitcoin is the first popular crypto currency, everyone has heard about there is many crypto currency that are traded like Ripple (XPR ), Ethereum (ETH), IOTA (MIOTA) that are also increasingly getting popular. Cryptocurrencies are like digital alternate to government-issued hard currencies and can be used in online marketplaces to buy everything. Although in India, Crypto-currency is gaining popularity for Online trading. Now in physical world, we have governor to decide the circulation amount but in digital currency, who can stop it’s duplication, it’s circulation. (This led creation of decentralized process called Blockchain, that we will read in our next blog. )Few interesting aspects •	Intangible: It is all virtual currency, it’s transfer and address. There will no one owning that address •	Irreversible: Since, Cryptocurrencies are merely entities of transaction, they are codes, and the money send cannot be reversed under any circumstances. •	100% Save & Secure Transactions – Since it’s Cryptography, there is no doubt of informational beach or amount getting lost. 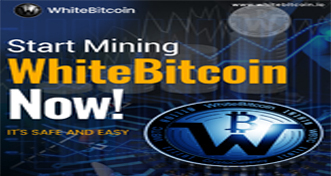 •	Limited Supply – Say Bitcoin are mined with software. Crypto currency is made with algorithm there are finite set of equations only . This implies that currency is finite & we can calculate the total monetary supply that will be available in future in the present day.Since Crypto currencies are unique and valuable, people are investing on it. Many countries have made Bitcoins legal also, India is on it’s way to accept this disruptive yet revolutionizing world. Remember your favorite toy LEGO Blocks. Connecting LEGO blocks and creating a chain. Block chain can be imagined something similar. In online world these blocks are transactional information written by different users around the world. These Blockchain stores tons of information across network of personal computers making it not only de-centralised and secure. We can also say that Blockchain is a digital ledger in which transactions made in bitcoin or another cryptocurrency are recorded chronologically and publicly. Blockchain technology is quite old yet is revolutionary concept for our future as it is increasing getting used in varied field like banking, cyber-security, Insurance , Research and many other fields. Each block contains secured information, once all transaction are complete, it creates another block that is linked with references the proceeding block and more transactions that will be currently happening, all the way back to the beginning of the network to what is known as the genesis block. These blocks (information) are secured by decentralized consensus. It means any change in one block can only be made when all the owners/ users are in consensus. A Block basically contains data , hash and hash of previous block. Data includes sender & Receiver online address and amount, hash is unique code that all users have to approve and hash of previous block. Now, it is near to impossible to temper with any of the blocks because if one blog is changed the whole block chain technology will collapse. Been such a secure information tunnel it is used famously for Bitcoin Transaction. Another feature is blocks are de-centralised. It has Peer to Peer Network. Any new user joins, he gets access to all the blockchain. New block (say for Bitcoin transactions) is formed after 10minutes. All the users will have access to it. They will verify the block then only the block is complete and then next block is started.Many industries are rapidly understanding the implications of Blockchain and how it can help companies and end customer. Now only the data is secure, it is faster , cheaper and surely the future. Most interesting part to your Bitcoin knowledge is how these bitcoins are generated. Let’s understand what is mining first. Mining is the processing of transactions in the digital currency system, known as a blocks. These blocks are interlinked with each other through the process called block chain.Now, we know each block have complex algorithm also called as hash. Hash is unique and distinctive code like finger print. So, each block is an encrypted with hash proof of work, created in an advance compute-intensive process. The block not only has current transaction hash but also hash of previous block. This makes all the transaction data safe. 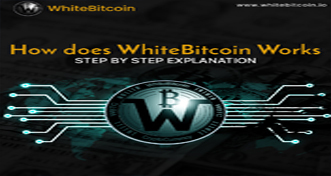 Bitcoin miner use software that accesses their processing capacity to solve transaction-related algorithms . In return, they are awarded a certain number of Bitcoins per block. The block chain technology prevents attempts to spend a Bitcoin more than once -otherwise the digital currency could be easily misused.Originally, Bitcoin mining was conducted on the CPUs of individual computers, with more cores and greater speed resulting in better profitability. After that, the system became dominated by multi-graphics card systems, then field-programmable gate arrays (FPGAs) and finally application-specific integrated circuits (ASICs), in the attempt to find more hashes with less electrical power usage. These are technically advance mining. Due to this constant escalation, it has become hard for prospective new miners to start. This huddle is an intentional mechanism created to prevent inflation. To get around that problem, individuals often work in mining pools.Bitcoin generally started with individuals and small organizations mining. Now, however, larger mining organizations might spend tens of thousands on one high-performance, specialized computer.